Stand out with the sleek look of the Flex Site, a single-property website experience. Immersive and media-rich, the Flex Site looks great on every device with a design that showcases the visual media elements you choose to market listings. 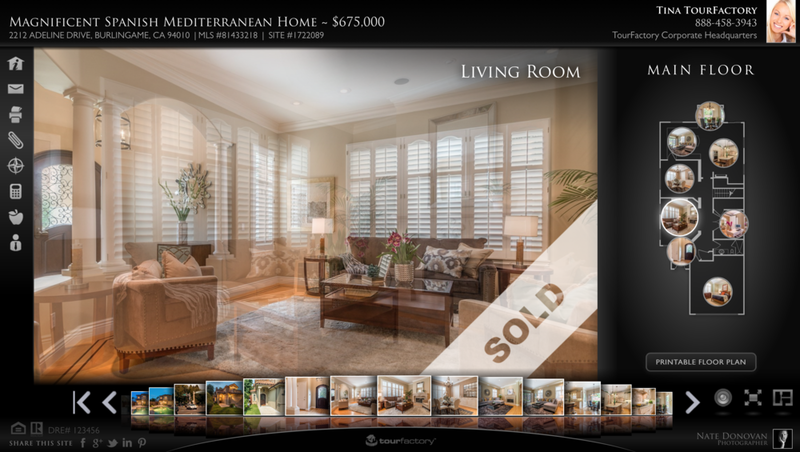 The Flex Site drives viewers to the high-quality visual media that will engage them.Professional photography, aerial media, videography and 3D floor plans are prominently displayed to ensure buyers view them. Flex site flexibility gives you the power to distinguish your marketing from your competitors: group photos; choose brand-friendly colors; or add customized agent branding to your site. It's simple. The Elegant Site makes your listing look great.Interactive floor plans, great color choices and full-screen viewingcreate a beautiful online experience inviting buyers to view more photos and engage with the home. home flow and drive their online experience. that are big, optimized and responsive. so you can get the lead that makes the sale. to calculate, download, print and share. match your brand and customize. inviting buyers to relax and engage. home features and bring your listing to life. Create a distinct viewing experience with an open, scrolling layout offering viewers the ability to see several stunning photos simultaneously. Customize and group listing photos, get creative with section headers and utilize brand-friendly color options. You can even include customized agent branding as a site enhancement to further differentiate your brand. Several background color choices enable agents to produce sites to match their brand or complement the style of the featured home. Artistic design elements work together to produce an exceptional viewing experience. Manage your brand with help from our professional designers. Order custom agent branding that can be integrated with your listings.